FINAL DECISION: Passionate, optimistic, emotional and funny this was a book that made me smile, sigh and just feel better about the world. Thankfully, Malcolm & Isabel’s story lived up to the promise in THE LEGEND OF LYON REDMOND. THE STORY: Isabel Redmond, raised in a series of foster homes, comes to Pennyroyal Green having discovered a long family history centered in this English town . Under the historic trees that have seen centuries of lives in Pennyroyal Green, Isabel meets Doctor Malcolm Coburn. Instantly there is something between them that could change both their lives if they are willing to take the chance. OPINION: The epilogue of historical THE LEGEND OF LYON REDMOND jumps again centuries and introduces readers to the contemporary world of Pennyroyal Green. Centuries after the events of the Pennyroyal Green series, readers are introduced to Isabel and Malcolm. Readers got to see their first meeting and that moment which changes everything. Reading reviews of the book some readers were confused by the epilogue, but I have always believed it is part of the greatness of THE LEGEND OF LYON REDMOND. A promise that the love that Lyon and Olivia not only is a “they lived happily ever after” but still resonates through the centuries. And that moment that occurred centuries before — two people who see one another and just KNOW still happens. To me the epilogue said, the lives and loves of the characters in the Pennyroyal Green series mattered and continue to matter. This story picks up EXACTLY after the end of the epilogue. Isabel and Malcolm have met and this book tells their story. This story reminds me of the famous Faulkner quote: “The past is never dead. It’s not even past.” The history of Pennyroyal Green lives in these contemporary characters. Not that they don’t have their own paths, but there is something incredibly comforting thinking that all the lives of those who have gone before have significance in the present. Isabel, an American, has arrived in the English town Pennyroyal Green after discovering her own heritage. She is a thoroughly modern woman who designs jewelry and likes music. She seems well adjusted but definitely has abandonment issues. Isabel doesn’t connect deeply easily. Malcolm is a doctor who has been around the world but come to build his life in a town which is home to him. (He also happens to like the same type of music Isabel does!) He is dedicated to his profession and to the town. He feels solid and committed to his profession, but he remains disconnected from any romantic attachments. I really liked Isabel and Malcolm. Their connection is palpable, sweet and geeky in the best of ways. Anyone who has had the experience of meeting a person and immediately wanting to talk the night away, will recognize these characters closeness. This is not a story about external obstacles. There are some small difficulties which arise, but the real obstacles for these characters are their own emotional lives. Can a chance meeting change your life? Are you willing to risk pain and rejection to take a chance on that possibility of something more? These characters can’t be safe and take things slowly and carefully. Life demands these characters take big risks and open themselves up to pain and rejection. 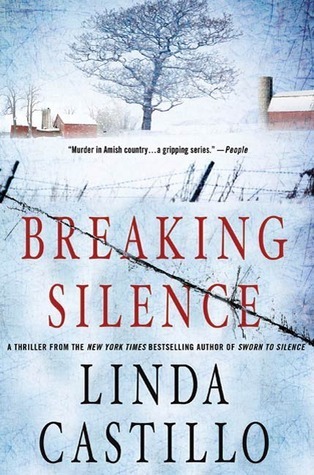 In this shorter novel, the obstacles they have are more than enough to fill the pages. Like the characters, this novel is big and open about the emotions. I really enjoy Long’s writing style which often feel like an ode to love. As a result, the story feels eternal and big and important. I left this book warm and happy and just smiling more about the world. I read this book through at a rapid pace, and then immediately went back to my favorite sections. And even as I write this, I’m tempted back into Isabel and Malcolm’s story. I know this will be a story I return to over and over again. WORTH MENTIONING: Please, oh please, Julie Anne Long write the stories of the other characters in Pennyroyal today. I have hopes that there will be more since this book is billed as Pennyroyal Today. I want to know about Finn and Poppy and Liam (the new dishy vicar) and the current owner of Eversea House, and the “very private” head of Redmond Worldwide. Long has a knack of writing a community of characters who are intriguing and have complexity. CONNECTED BOOKS: MALCOLM & ISABEL should be read after the epilogue of THE LEGEND OF LYON REDMOND. It is certainly possible to read this book after reading only the epilogue, but why not treat yourself and read the amazing Pennyroyal Green series? FINAL DECISION: Beautiful, satisfying and so different than I imagined, THE LEGEND OF LYON REDMOND rewards readers of the Pennyroyal series with a book worthy of the anticipation built up over the series. THE STORY: The Redmond and the Everseas have been enemies for generations. An ancient curse holds that once in every generation, a Redmond and an Eversea will fall in love but that it ends in disaster. The curse appears to have been fulfilled with the heir Lyon Redmond falls in love with Olivia Eversea. Rumor has it that Olivia broke Lyon’s heart and he left for parts unknown five years ago and has not been seen since. In the intervening years, Lyon has been masquerading as Mr. Hardesty, a trader with an alter ego of Le Chat, a notorious pirate. In the meantime, Olivia has been dazzling suitors but always keeping herself emotionally apart. To the shock of all of society, she has finally agreed to marry a viscount. A note sends Lyon back to Pennyroyal Green to confront the woman he loved. The years have changed them both…but will love finally prevail between the Redmonds and the Everseas. OPINION: After ten books of build up, I approached THE LEGEND OF LYON REDMOND with trepidation. I have often been disappointed with the final book in a series. After so much buildup, it becomes difficult for a mere book to satisfy the raised expectations of readers. The romance between Lyon and Olivia already was legendary before the first words of this book. It would have been simple for this book to fall into simplistic drama and conflict. I am happy to report that this book not only met but exceeded all of my expectations. At the onset, I encourage readers to avoid spoilers. The book develops in unexpected ways. Fans can be assured that this book answers the question of what happened between Lyon and Olivia five years ago. I started this book expecting angst and drama, but instead I found a treatise on the beauty and pain of love. Powerful and mysterious figures throughout the series, this book delves deeply into Lyon and Olivia. In many ways the catalysts for the romances of the prior books, Lyon and Olivia have a powerful connection from the moment they first see one another. I am not sure I have ever read another romance book where the entire book is so concentrated on the thoughts and emotions of the hero and heroine. Everything else in the world falls away when Lyon and Olivia are together and this book reflects in its construction that reality. The contrasts between the simple things that Lyon and Olivia find joy together in and the intense melodramatic storm that the two are caught up in give this story realism and yet an epic feel. I love that Lyon and Olivia are the ultimate star crossed lovers and yet they are intrinsically human. The hard question that this book raises is not about love. There is never any doubt about the love between Lyon and Olivia…the question is what lengths will one go to for love. I cannot express just how beautiful I thought this story was except to say that it exceeded all my expectations and raised the standards of what I expect from romances. WORTH MENTIONING: Long has done a wonderful job of wrapping up the Pennyroyal Green series. Fans will be delighted to get a final look at their favorite characters in a way that is deeply satisfying. CONNECTED BOOKS: THE LEGEND OF LYON REDMOND is book eleven of the Pennyroyal Green series. While it is possible to read this book independent of the series, this book concludes the storyline that has run through the entire series. In my opinion, it should not be read before the others in the series in order to appreciate the story. STAR RATING: This book gets five enthusiastic stars. The best of the series. THE STORY: Lord Phillipe Lavay, a prince of the house of Bourbon, is recovering from life threatening injuries in Pennyroyal Green. Lavay’s life is at a crossroads. He needs to make enough money to repurchase his family home and he needs to determine whether it will be through his dangerous work for the Crown or through marriage. Elise Fountain has come down in life. A former teacher at a girls’ school, Elise is a fallen women with an son — and no husband. She finds herself desperate and needing a position as the housekeeper for Lord Lavay. OPINION: This is a wonderfully gentle story where the relationship between Lavay and Elise builds slowly. The two begin as combatants with sharp words and clever repartee. Respect builds between them and also caring as Elise cannot ignore the physical pain she sees in Lavay. The differences in their stations are so great that it seems impossible for them to imagine that they are perfect together, but of course, they are. The character of Elise is amazing. A woman who trusted wrongly, who took a chance on love and lost, she accepts her mistakes even as they are something that have utterly damaged her life. She has a wonderful relationship with her son and accepts him as the joy she has gained from the pain her choices have brought her. I liked how Elise takes pride in her work and always demands the best from herself and others. This story is paced incredibly well. For a woman who has been burned before, I would have thought worse of her had she rushed into another relationship. Instead, Elise knows that she cannot afford to make another mistake for herself and for her son. Lavay ultimately knows and respect this as well. These two complex characters are a joy to read about. Julie Anne Long always does these stories about living with moral mistakes and complex issues regarding sexuality — especially for women — incredibly well. This one is another book in that vein. WORTH MENTIONING: Olivia and Lyon fans rejoice…the end of this book is the beginning of what you have been waiting for. 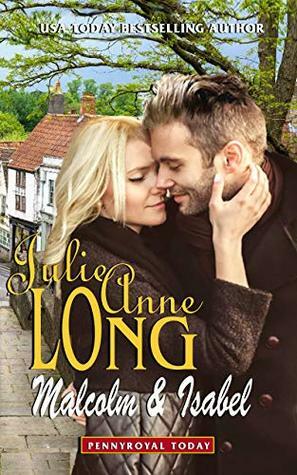 FINAL DECISION: The story here is not original nor is the ending unexpected, but Julie Anne Long has a wonderful way of working her characters and the emotions such that the end result is fresh and engaging. CONNECTED BOOKS: IT STARTED WITH A SCANDAL is the tenth book in the Pennyroyal Green series. 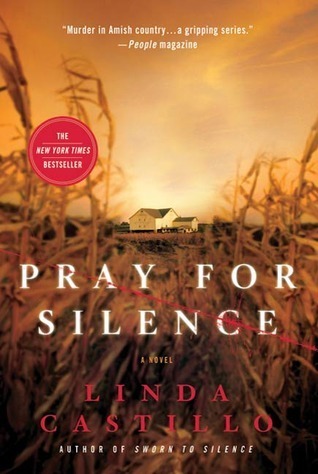 It can be read as a standalone although various couples from prior books make appearances. STAR RATING: I give IT STARTED WITH A SCANDAL 4.25 stars. BETWEEN THE DEVIL AND IAN EVERSEA is the ninth book in the Pennyroyal Green series. Ian Eversea, the rogue who famously attempted to seduce the Duke of Falconbridge’s fiancee in WHAT I DID FOR A DUKE and ended up going home naked, meets the Duke’s ward Titania “Tansy” Danforth. Tansy is an American heiress who has come to England to find a husband approved by the Duke. I really liked this book because it was about how people create masks to hide pain in their lives. Both Tansy and Ian have created superficial flirty personalities in order to keep people at a distance. While at first these two appear superficial, they are actually hiding depths that are discovered when they are together. At the same time, this book is very funny. The reactions of men to Tansy are simply hysterical. Men are just entranced with her. The subtle competition over flowers with Olivia and the reactions of the other women in the book was also amusing. At the same time, we see Tansy’s caring nature in how she treats people. My favorite part of the book is her list of qualities she desires in a husband which she adds to throughout the book. I also enjoyed spending time with the Duke and Genevieve again. Because of the situation, Falconbridge is a significant part of this book and his actions in this book made me like him even more than before. While not necessary to read all the books in the series before this one (though I highly recommend starting at the beginning and reading all nine), I believe that a reader will enjoy this book better if they read at least WHAT I DID FOR A DUKE because of the continuation of the story from that book. Finally, I really hope the next book us about Olivia and Lyon because the events of this book leave me concerned. IT HAPPENED ONE MIDNIGHT is the eighth book in the Pennyroyal Green series. It is the story of Jonathan Redmond, the youngest son of the Redmond family. Jonathan meets Thomasina de Ballestros one night while she is skulking outside a dude’s window. The two end up as friends as Tommy ends up involving Jonathan in various schemes. Jonathan has been given an ultimatum by his father: marry an appropriate woman by the end if the year. Of course, Jonathan begins to have non-friend feelings for Tommy, who is definitely not appropriate. I loved the development of the relationship in this book. Tommy and Jonathan begin to discover in each other a purpose in life. The two become entwined in Tommy’s schemes and Jonathan’s investments. I could feel how these two grew and changed throughout the book. I also very much liked how they both moved together to solve the problem of them seemingly not being able to be together. Jonathan is a great hero and I really felt his love for his family in this book. This book also resolves some of the lingering problems from the other books in the series (still waiting for Lyon and Olivia). A NOTORIOUS COUNTESS CONFESSES is the seventh book in the Pennyroyal Green series. It is the story of a former courtesan and the vicar. Evie Duggan has risen from poverty to being a countess. After her husband’s death, she moves to Pennyroyal Green, but finds that she cannot escape her past. She meets Adam Sylvaine, the vicar. These are interesting character and the book does a great job of exploring sin and repentance, acceptance of one’s choices even if they are frowned upon by others, and loving one’s neighbor. Evie does not regret her choices because she believes she made the best choice she could considering her circumstances. Adam comes to accept her choices as well. I liked the main characters in this book. Evie is tough and yet has a soft heart that she has hidden. Adam learns more about love and acceptance than he could have imagined. I liked this book, however, while I completely accepted Adam’s conversion, the reaction of the others in the town was just too simplistic. I also really didn’t like Evie’s consideration of returning to her former life. I thought by that point in the story, Evie’s reaction was too cold-blooded. These are just small complaints, however, with a book that I enjoyed overall. HOW THE MARQUESS WAS WON is the sixth book in the Pennyroyal Green series. It is the story of Julian Spenser, Marquees Dryden who is determined to restore his family’s legacy by marrying Lisbeth Redmond. His plan, however, begins to crumble when he meets Phoebe Vale, Lisbeth’s paid companion. They discover in each other people of passion who have created facades in order to overcome the difficulties in their pasts. Soon plans have to change in order to accommodate their feelings for one another. This book starts out near the end of the story and then goes back and explains how the characters got to that point. I loved how the relationship between Julian and Phoebe develops. Phoebe is no shrinking violet. She is fiery and strong. The attraction between the two completely makes sense. Unlike most books using this troupe, the difficulty between the characters arises not from the difference in their classes but rather Julian’s determination to restore the properties his father lost. I really liked these characters and I smiled and laughed at the situations the two found themselves in, especially how the ton wanted to emulate Julian. While part of a series, a reader will not miss much by not having read the previous books. WHAT I DID FOR A DUKE is the fifth book in the Pennyroyal Green series. It is the story of Genevieve Eversea who finds out that the man she loves intends to propose to her friend. She is set adrift by this information and that is when she meets Alexander Moncrieffe, Duke of Falconbridge. The duke cultivates a relationship with Genevieve because he intends to seduce and abandon her in revenge for Genevieve’s brother having seduced the dude’s fiancee. I loved this book. The book builds slowly as the duke begins the relationship seeking revenge and ends up in love. By the time the last chapter arrived, I was completely transfixed with the story and the relationship between Genevieve and Alex. The story is complex and Long does not take the easy way out by making the choices of the characters simple. Long has an amazing way of bringing characters together who at first seem so different but in the end are so clearly of the same “species” as Alex says. I absolutely recommend this book. I would rate is a 4.5. I KISSED AN EARL is the fourth book in the Pennyroyal Green series. It is the story of the wayward Violet Redmond and the newly minted Earl of Ardmay, Asher Flint. A gypsy fortune predicted that Violet would take a sea journey. Violet who is impulsive stores away on Flint’s ship as he goes in search of a pirate who might be Violet’s missing oldest brother. These two characters are so well match: arrogant, passionate, determined, strategic. The two are engaged in gameplay and gamesmanship throughout the book. Being at odds over Violet’s brother the two cannot see a future together and yet they are kindred spirits. I loved the interplay between Violet and Flint. Both have reasonable positions and the book does not shy away from the difficulties they face. I could not put this book down. The strong, clear unadorned language of the book allows the emotions and choices of the characters to shine. This is my favorite of the series so far. I recommend this book — and you can read this book without having read the prior books. SINCE THE SURRENDER is the third book in the Pennyroyal Green series. Captain Chase Eversea met Rosalind March when she was married to his superior during the war. The two behaved in a dishonorable fashion and the two haven’t seen one another in five years. Now Chase is living with having been wounded on the battlefield and Rosalind is a widow. Rosalind seeks out Chase when her sister goes missing. The two work together to solve the mystery while discovering one another. I liked the difficulty of the relationship between these two. Here are two honorable people who struggle with the guilt of having acted improperly. The clear fresh language of the novel makes the book go quickly. The characters are strong and well defined. While this book is part of a series, it is certainly not necessary to have read the previous books to enjoy this one.